HomeWill Robots Ever Take Over from Teachers? 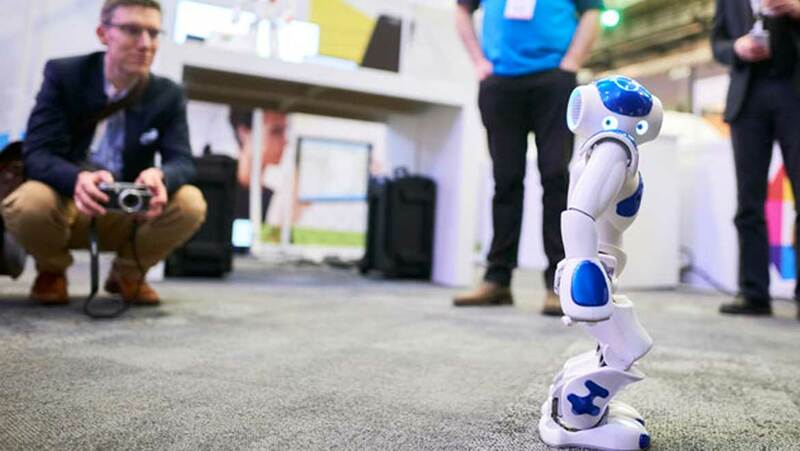 Imagine a classroom where a robot stands in front of a group of students, setting them individualised tasks and making sure each student completes this to the best of their ability. A human teacher is on hand to check on students’ work and to maintain discipline if necessary, but it’s the robot which will be responsible for creating learning plans for each student as well as monitoring their progress both within a lesson and over the course of an academic year. This might sound like an educational dream to some, but it’s one which could potentially be a reality within the next ten years. According to the Master of Wellington College and Vice-Chancellor of the University of Buckingham, Sir Anthony Seldon, who outlined his vision for the future at the British Science Festival, which took place last week in Brighton, UK. Sir Seldon foresees a future where Artificial Intelligence is so advanced that it can recognize the different learning styles of children, and adapt its methods so that each child can progress at their own pace. This means that no student gets left behind as the pace of the lesson progresses faster than they are comfortable with, but also that gifted students are stretched and challenged rather than waiting for others to complete a task they have already finished. Seldon calls this the ‘the fourth revolution’ in education, which is also the title of his new book discussing the same subject matter. It’s said that the first education revolution involved humans learning survival skills such as making shelters, hunting, foraging and farming. The second revolved around the sharing of knowledge whilst the third centred on the invention of the printing press. Sir Seldon suggests that this revolutionary new style of teaching could inspire more students by being able to target activities to each and every student, something that human teachers might wish to do, but in reality are rarely able to accomplish. "You'll still have the humans there walking around during school time, but in fact the inspiration in terms of intellectual excitement will come from the lighting-up of the brain which the machines will be superbly well-geared for. The machines will know what it is that most excites you and gives you a natural level of challenge that is not too hard or too easy, but just right for you." Whilst there will still be human teachers at schools, Sir Seldon says that “in fact the inspiration in terms of intellectual excitement will come from the lighting-up of the brain which the machines will be superbly well-geared for. The machines will know what it is that most excites you and gives you a natural level of challenge that is not too hard or too easy, but just right for you." Evolving Science has previously looked at the rise of AI in the education sector, including the use of an AI teaching assistant named Jill who was tasked with interacting with students enrolled in online courses. It’s expected that math and science will be the first subjects to experience machine-led learning, but no mention is made of how the robots may cope with practical lessons which form a large part of science lessons in the majority of schools. It certainly looks as if exciting times could be on the horizon for the future of our education, but it’s important to consider the valuable impact of educators on their students. Most of us remember the teachers who impacted our education the most, but will the same be true for the students of the future, who interact with robots instead?